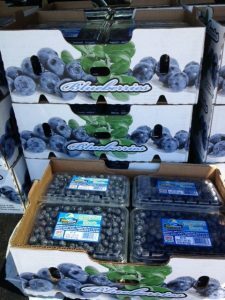 Jersey Blueberries are here! Fresh from the farm, ready to serve… Plump, sweet and juicy, these summer treats are being transformed right now in our kitchen into blueberry ice cream, house made blueberry sauce, blueberry pies, added to our handcrafted cocktails and Blueberry Mimosas. The possibilities are endless at the Harley Dawn… How will YOU get your blueberry on? Eat. Drink. Grow.